Saudi Arabia has condemned Iran for delaying and refusing to complete investigations into the attack on Riyadh’s embassy in Tehran last year. A statement released by Saudi Ministry of Foreign Affairs stated that Iranian authorities refused to accommodate and allow entry of a team from Saudi Arabia to investigate what had happened to its embassy premises in Tehran and consulate in Mashhad despite initially agreeing to. In January of last year, Saudi Arabia's embassy in Tehran and its consulate in Mashhad were attacked by Iranian protesters following the execution of a Saudi Shiite preacher along with 46 others. Images shared on social media showed Iranian protesters complicit in breaking into the Saudi embassy and starting fires. “The source added that Iranian authorities have resorted to fraudulent tactics. 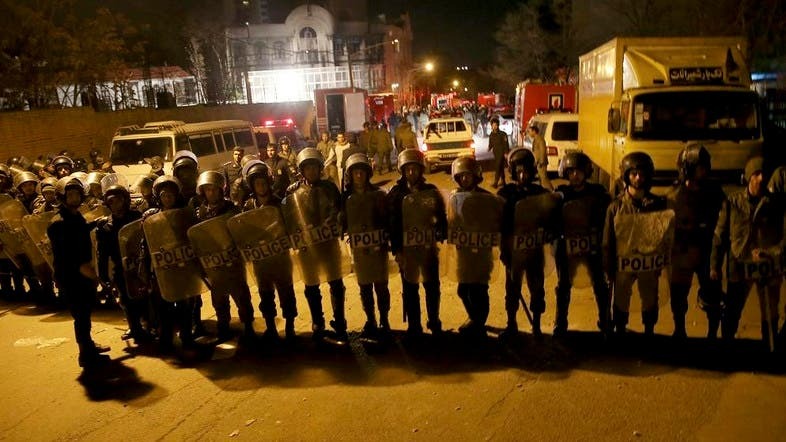 Iran, despite an initial approval, has denied a Saudi team entry into Iran as part of the Iranian team investigating the attacks on the Saudi Arabian embassy in Tehran and its consulate in Mashhad. The Saudi team was delegated to work alongside the Iranian authorities to inspect the two Saudi facilities and finalize the processes relating to them,” a foreign ministry statement read. “Such acts of procrastination reflect Iran's behavior and policy, its disrespect of international laws and conventions, and violation of the inviolability of the diplomatic mission premises, tactics Iran had used for more than 38 years.,” a source was quoted by the statement as saying. Saudi Arabia said it will call upon international organizations and plans on taking the necessary legal actions to preserve their diplomatic rights in line with Vienna Convention on Diplomatic Relations and relevant provisions of international law. An appeals court on Monday approved jail sentences for 10 people charged with attacking Saudi diplomatic missions, ranging from three to six months each.